Bright Futures Pediatrics is a vibrant and robust medical practice which focuses on the health and well-being of children from birth to 18 years of age. The practice which formed in 2002, has a very strong patient following and welcomes the opportunity to embrace new patients. The physicians are all board certified in Pediatric and Adolescent Medicine. Dr. Carey graduated from the Ohio State University College of Medicine. She completed her Pediatric Residency Training at Nationwide Children’s Hospital in Columbus. Dr. Carey is Board Certified and has been in practice in Kalamazoo since 1996. Dr. Hicks-Fox graduated from the Indiana University School of Medicine in Indianapolis. She completed her Internship and Residency Program at Blodgett and Butterworth Hospitals in Grand Rapids. 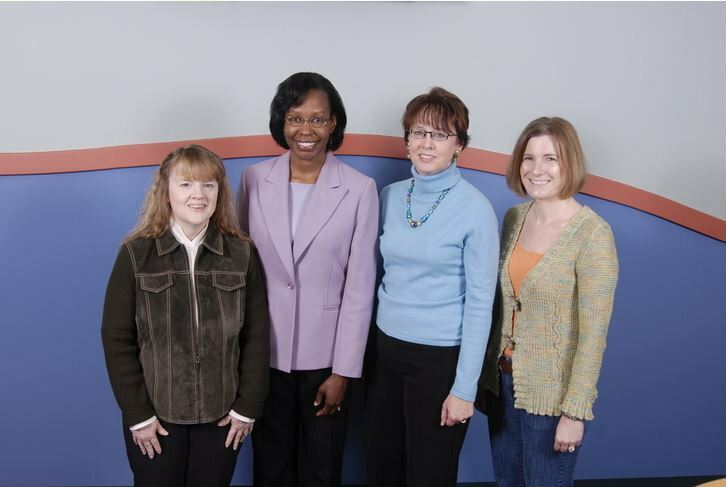 Dr, Hicks-Fox is Board Certified in Pediatrics and has practiced in Kalamazoo since 1986. Dr. Hilleren graduated from the University of Minnesota Medical school. She completed her Residency Program at Rush-Presbyterian-St. Luke’s Children’s Hospital in Chicago. Dr. Hilleren is Board Certified and has been practicing in Kalamazoo for over 15 years. Kathleen attended the University of Michigan, where she received her Masters of Science degree in Parent-Child Nursing. She obtained her certification as a Pediatric Nurse Practitioner in 1994, and has practiced in both Michigan and Indiana. Kathleen has been with Bright Futures Pediatrics since 2004. She lives in the Kalamazoo area with her husband and their two children.